But wait – there’s more good news! Those disappointed by Pacific Rim Uprising this past weekend will be happy to discover that star Rinko Kikuchi actually has a stealth role in Westworld Season 2, and appears in the new trailer. 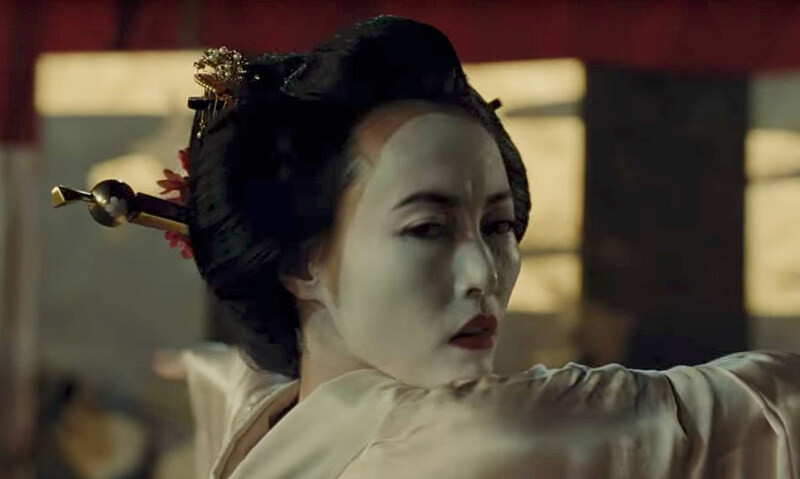 Kikuchi appears to be playing a geisha-type character in “Shogun World” (Entertainment Weekly identifies her as “Akane”), but it remains to be seen how involved in the story she’ll be. And hey, what’s one more? HBO and Warner Bros. also released the full Nirvana “Heart-Shaped Box” cover from composer Ramin Djawadi, and they didn’t even make you translate hexidecimal code from the underside of James Marsden’s hat. You can have a listen below, and stay tuned for more from the April 22 premiere.